SunPower Series solar panels convert more sunlight into electricity than conventional panels, delivering 36% more power per panel. SunPower Series solar panels convert more sunlight to electricity over the life of your system than conventional panels. Which means you produce 60% more energy over 25 years and save more on your electricity bills, too. 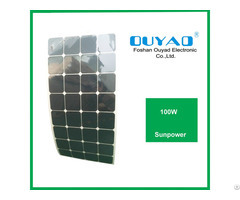 SunPower Series residential solar panels generate more electricity from a smaller area, you can expand energy production simply by using additional roof space to add more panels later. 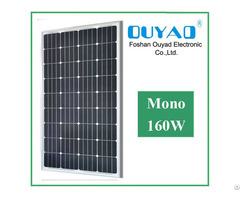 Foshan Ouyad Electronic Co., Ltd was founded in 1998.We are real professional manufacturer of solar panels, such as mono solar panels, poly solar panels and semi flexible solar panels and so on, covering an area of more than 20, 000sqms. In 2014, Ouyad company are well known as Guangdong Province High Technology Corporation. For right now, we have our own independent workshop, supply complete solar power system, including solar panel, battery, controller, inverter, etc.Our products are authorized by CE test system and the ISO9001:2008 International quality system certification. T/T, PayPal, Western Union, etc. 3. Could you send free samples? Your samples fee will be back when you place order. 4. What's the delivery time? payment, your products will be send out within 2days. 5. What's your price list and discount? The above price is our wholesale price, if you'd like to know more our discount policy, please feel free to contact us. 6.Can we print our own logo? Yes, but should have certain amount of order. If any questions, pls feel free to contact Lucy Qiu. 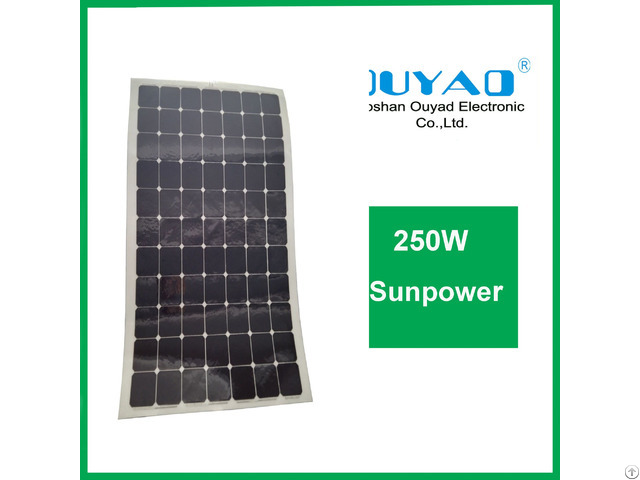 Business Description: We are real and professional manufacturer of solar energy products for over 15 years experience,covering an area of more than 20,000sqms. 1.Wind turbine 500W to 200KW(generator+blades+tower),etc. 3.Inverter:Solar inverter,off grid inverter,on grid inverter,home UPS inverter. 4.Battery:Deep cycle(solar) battery,gel battery,sealed lead acid battery.